Teaching and learning become exceptionally natural and collaborative experiences with the SMART Board™ 800 series interactive whiteboard. It enables two users to instantly and easily work anywhere on its surface at the same time, so lessons are more hands-on and interactive. 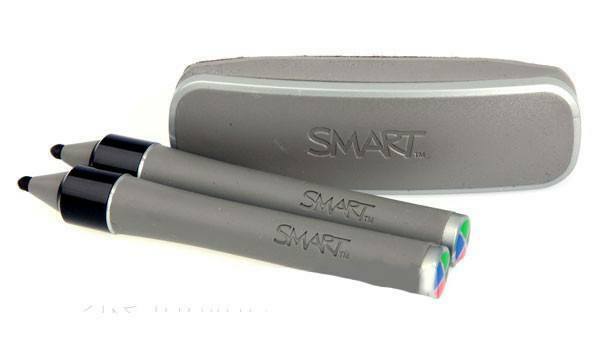 The SMART Board 800 series interactive whiteboard supports multi-user writing and common multi-touch gestures currently recognised in Microsoft Windows 7 and Mac Snow Leopard operating systems. SMART Notebook collaborative learning software will support certain features, such as freestyle interaction, touch gestures and full object awareness. Discover the power of collaborative learning with the SMART Board™ 885ix interactive whiteboard system. The 885ix makes interacting with lesson content an extraordinarily natural experience. It enables two users to instantly and easily work on its surface at the same time, using their fingers or a pen. The 885ix has a 87″ diagonal screen size and is an intuitive, hands-on, integrated system that makes teaching and learning more magical. As part of the 800 series, the 885ix represents a new class of interactive whiteboard. This system offers an intuitive, multi-touch experience that enables true collaboration and brings more magical moments to the classroom. 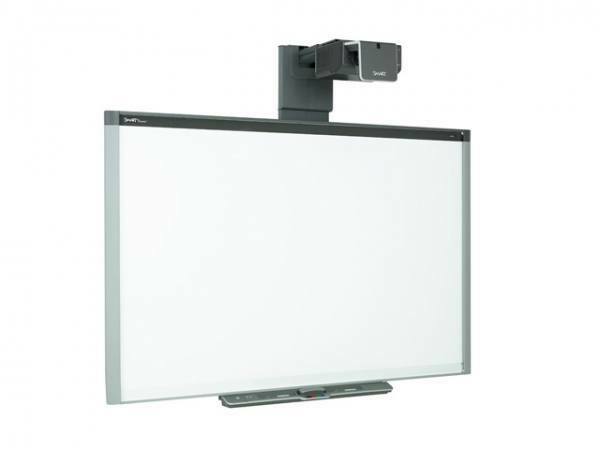 This integrated system features a powerful SMART Board interactive whiteboard and an ultra-short-throw projector, the SMART UX60, which virtually eliminates shadows and glare. The 885ix also includes a modular pen tray that enables students to seamlessly work together, and an extended control panel, which allows you to control the system and manage your classroom technology. And as a widescreen system, the 885ix has 20% more working space than a standard interactive whiteboard. Collaborative learning is in the hands of teachers and students with the SMART Board 880i interactive whiteboard system. It makes interacting with lesson content an exceptionally natural experience and it increases opportunities to work together to solve problems and discuss lesson activities. The 885i has a 87″ diagonal screen size and is an all-in-one interactive whiteboard system that helps you manage your classroom technology. The SMART Board 885i series interactive whiteboard supports multi-user writing and common multi-touch gestures currently recognised in Microsoft Windows 7 and Mac Snow Leopard operating systems. SMART Notebook collaborative learning software will support certain features, such as freestyle interaction, touch gestures and full object awareness. 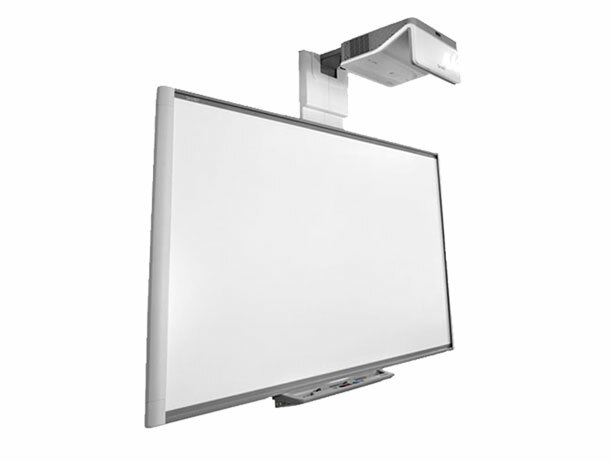 As part of the 800 series, the 885i represents a new class of interactive whiteboard. The 885i features touch gesture and multi-touch capabilities that enable true collaboration and make lessons more engaging. The 885i is an integrated system featuring a powerful interactive whiteboard and a multi-user Pen Tray that enables users to work together instantly. The system also includes the SMART UF75 projector, which reduces distracting shadows and glare, and an extended control panel, which allows you to easily manage the system and your classroom technology. Teaching and learning become exceptionally natural and collaborative experiences with the SMART Board™ 885 series interactive whiteboard. It enables two users to instantly and easily work anywhere on its surface at the same time, so lessons are more hands-on and interactive. 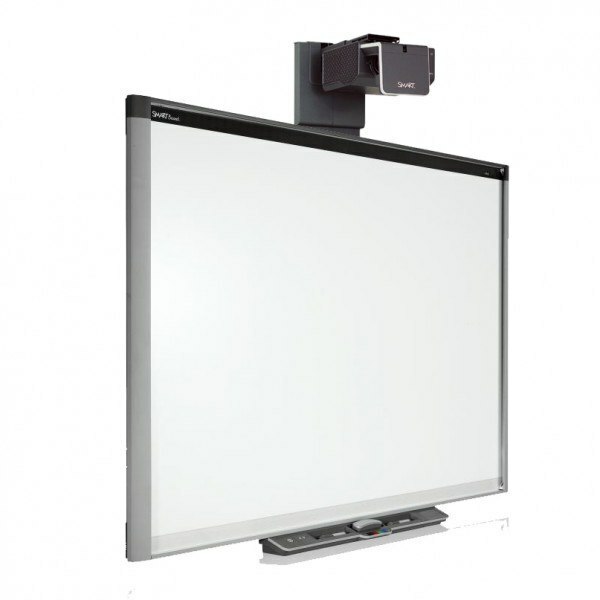 The SMART Board 885 come with an excellent 87″ diagonal screen size. Collaborative learning is in the hands of teachers and students with the SMART Board 880i interactive whiteboard system. It makes interacting with lesson content an exceptionally natural experience and it increases opportunities to work together to solve problems and discuss lesson activities. The 880i has a excellent 77″ diagonal screen size and is an all-in-one interactive whiteboard system that helps you manage your classroom technology. The SMART Board 800 series interactive whiteboard supports multi-user writing and common multitouch gestures currently recognised in Microsoft Windows 7 and Mac Snow Leopard operating systems. SMART Notebook collaborative learning software will support certain features, such as freestyle interaction, touch gestures and full object awareness.